Once again teamed up at the Ipex 2014 to show how print is roaring back to life. 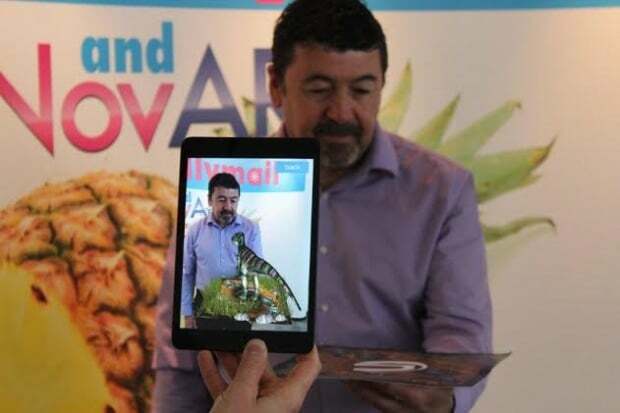 For the Inspiration Avenue at Ipex 2014, commencing this week, Konica Minolta and Konica Minotla and Nova Direct using Augmented Reality to bring Dinosaurs to life at Ipex 2014its customer Nova Direct will project a dinosaur onto the screen of an iPad or iPhone by identifying an image in a printed page. The companies hope that this is the start of visitors finding everyday uses for augmented reality. Combining software normally reserved for children’s games with traditional printing, Konica Minolta plans to apply AR to everyday life, giving customers a more accurate picture of how a given object or, in this case, a dinosaur – would fit in to their perspective of space.